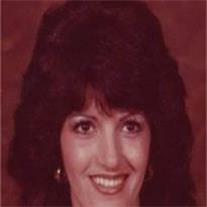 Carlotta Jeanne Inorio Matta, 69 passed away February 9, 2012 in Mesa, AZ. She was born Sept. 3, 1942 in Chicago, IL to Anthony Inorio and Rosemary Giacomozza Schibley. She loved her family, friends, painting, gardening, traveling with family and the family’s long horn cattle ranch. She was the owner of Matta’s Mexican Restaurant and Matta’s Mexican Grill. She was preceded in death by her parents and sister Anita Harte. She is survived by her husband, David Matta and children Kim (Patrick) Connelly, Don (Teri) Kleifgen, Christopher (Susan) Matta, Peter (Gretchen) Matta, Elliott (Todd) McMahon, Elissa (Todd) Kaspar, 22 grandchildren and 6 great-grandchildren. Visitation will be Wed., Feb. 15, 2012 from 6-8 PM, with a Rosary at 7 PM at Bunker’s Garden Chapel, 33 N. Centennial Way in Mesa. Funeral services are Thursday, Feb. 16, 2012 at 10 AM at Christ the King Catholic Church, 1551 E. Dana Ave., Mesa, followed by the burial at Mt. View Memorial Gardens. In lieu of flowers, donations may be made to Hospice of the Valley.